By Van Mayhall Jr. 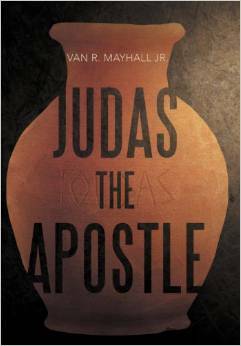 In novels and Thriller Tagged In biblical fiction, indie author, judas the apostle, louisiana author, mystery novel, religious thriller, and van mayhall jr. Ancient language expert Dr. Clotile Lejeune is happily living a quiet life in Seattle when her world is profoundly shaken. After she learns that her estranged father has been murdered, Cloe must travel with her soldier son, J. E. back to her Louisiana hometown to unlock the mysteries of a two-thousand-year-old oil jar her father has left her-a jar inscribed with the name Judas Iscariot. Anxious to find her father’s killer and dispel her own personal demons, Cloe has no idea that what she is about to uncover has the potential to set the international religious community on fire. With the help of a mysterious cleric, her son, and a letter from her father, Cloe soon realizes the African oil jar her father unearthed during the war may be the most important relic discovered in centuries. But it is only the beginning. Across the globe, a billionaire arms merchant is leaving a trail of bodies in his wake in his pursuit of the jar and its contents. In this biblical thriller, the race for answers takes a language professor on a dangerous quest across three continents in order to discover the identity of Judas Iscariot. 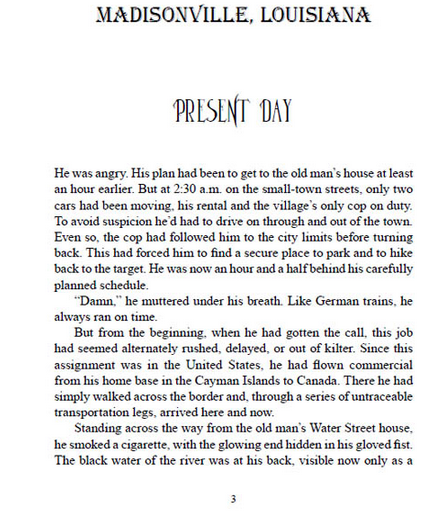 Now only time will tell if Cloe can find out what the past is reaching out to tell her-before it is too late.